Gastrells is not a village – it is just an area in Kingscourt Lane which follows on where Stanfields ends, the names relate to the families who originally owned and farmed the land many years ago. The terrace type houses that border the hill on the western side bear a date-stone of 1925 and were built by Mr. Fred Butler. He was a local-born man who went off to London as a young man to seek his fortune and eventually became the owner of a tobacconist shop. His wife’s parents owned Gastrells’ farm and when I was young the elderly, widowed Mrs. Close lived with the Butlers in one of the two brick built bungalows at the bottom of the hill. Perhaps she was the reason they returned from London and Mr. B. turned his energies to building houses on the land which his wife had inherited. Later on he had an enterprise producing concrete blocks. He lived into his 90’s. Gastrells’ Primary School opened in 1972 and was built to replace the Kingscourt School which was too small to cope with all the children from the new houses built in 1960’s. Registered as a new school, it had to have a new name and the Governing body decided to use the name of Gastrells. A bit further on the road narrows and goes down into Kingscourt which nestles into the hillside below Rodborough Common (National Trust property). 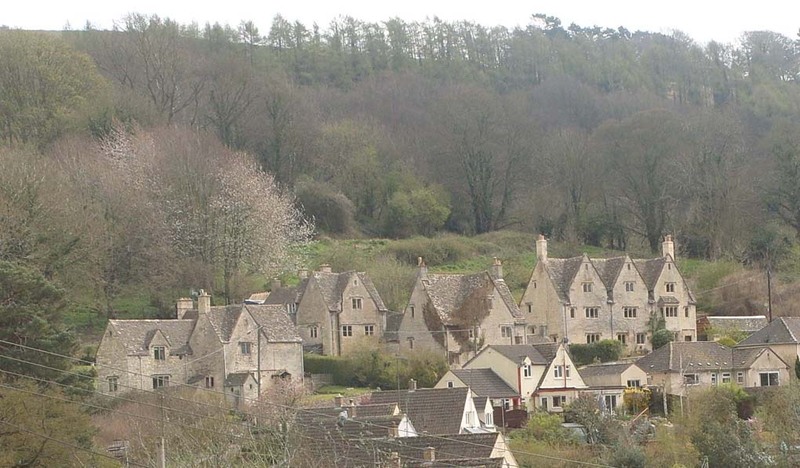 The old pub, The King’s Head, survives and the narrow, single track road, simply named The Street, curves round past the cottages to the last group of dwellings at Rooksgrove. As a result of research done by a relative in Canada whose wife’s maiden name was Gastrell, I learned that the name Gastrells derives from a Giles Gastrell who owned the land many years ago. 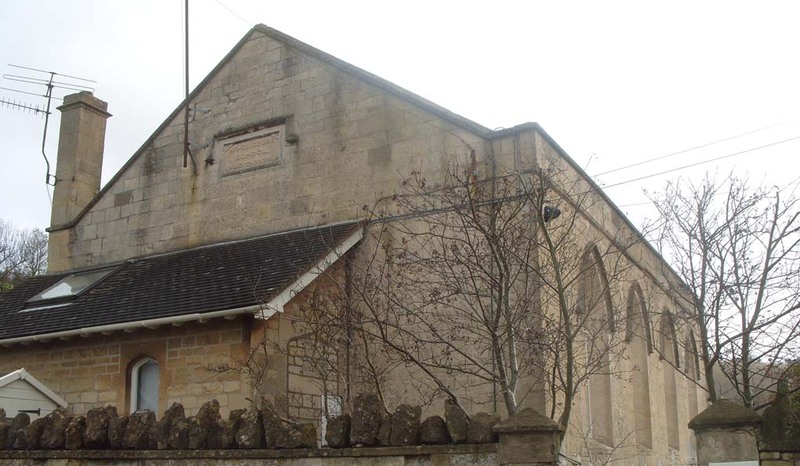 His family had its roots in Tetbury about 10 miles to the south east where the name can be seen in the church and on a building in the town. 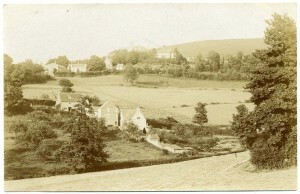 The first dwelling at the top of the row used to be a farmhouse. 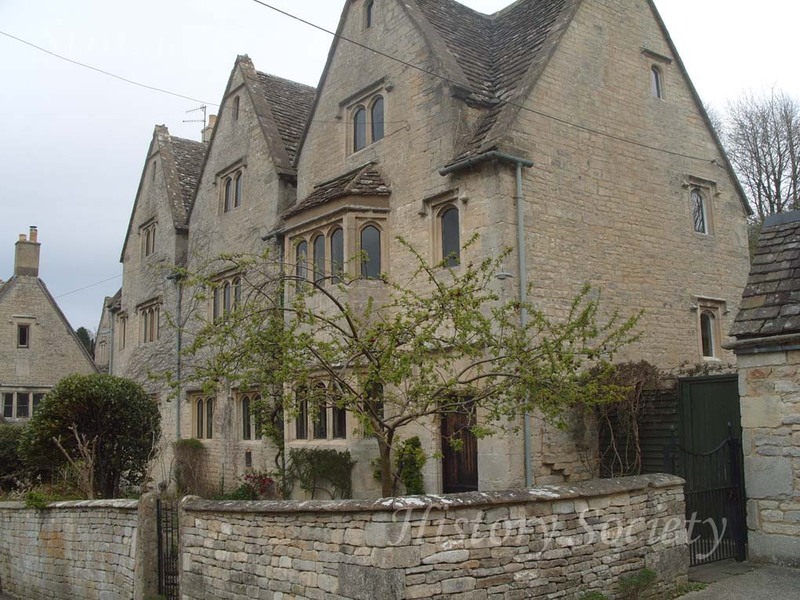 (In recent years the rendering has been removed to expose the Cotswold stone and the two cottages put back into one again!) Recently, in Rodborough Parish Churchyard, the grave of Thos. Close of “Gastrells Farm” was discovered showing that he died in 1907 and his wife in 1952. Back in the 1980’s a numbering system was introduced in Kingscourt Lane and I think that the old farmhouse should be No. 109. No. 110, the flat-roofed building built with Fred Butler’s concrete blocks, used to be a grocery shop in my youth, later also became a Post Office (now closed and used as a dwelling). The Post Box outside is still in use. On the opposite side of the road there is a very old building now called The Old Pound House (used as 3 dwellings when I was young) and there were a couple of cottages more or less alongside (now called Pendle cottage) bordering the grounds of Gastrells’ school (c.1972). The aforementioned are the only very old dwellings in the area known to me as Gastrells. On the map The Old Pound House is shown as 3 dwellings and left of 257 looks like the two as I remember them (Pendle)….so with the farmhouse that seems about the right number. 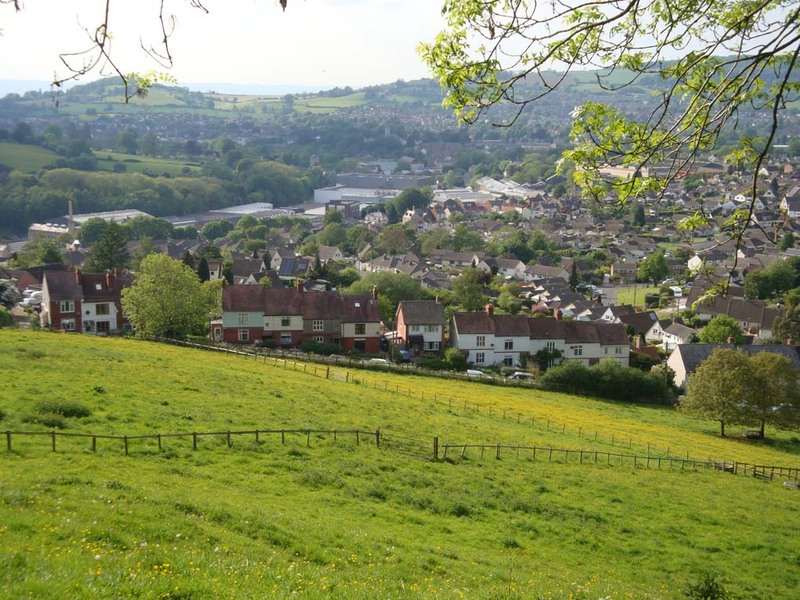 Roads on the new estate are named Fisher’s Way and Little Fishers….Tabernacle Walk is 10 minutes’ walk from us and leads to Rodborough Tabernacle (now U.R.C.) 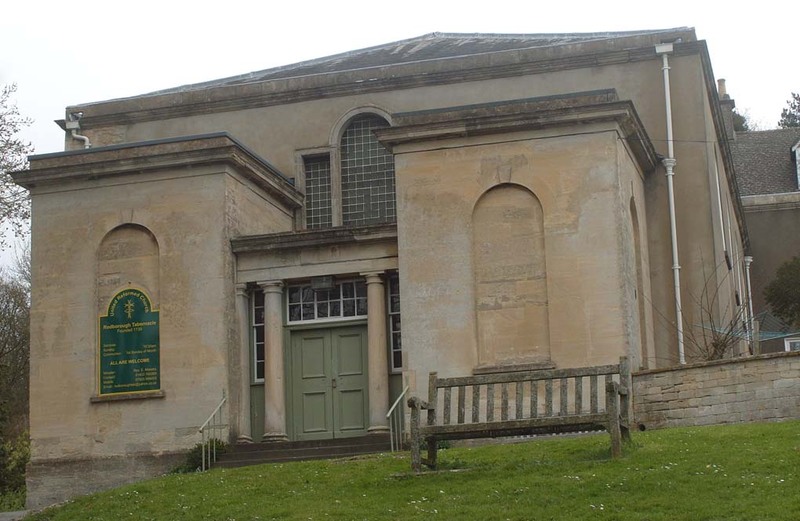 founded in 1739 from the inspiration of George Whitefield after he preached to a crowd of 20,000 on Minchinhampton Common. 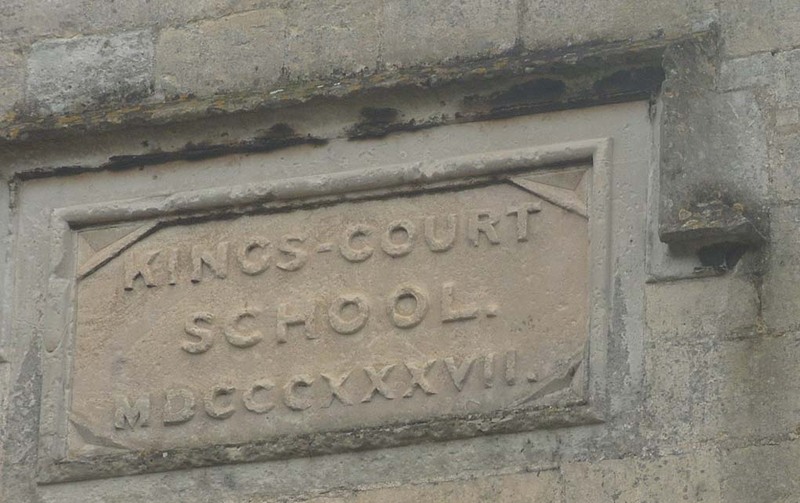 Kingscourt School in Bowl Hill bears a date-stone of 1837 and was “built by the Methodists of Rodborough Tabernacle for the education of the labouring and manufacturing classes of society and for religious worship.” In 1973 it was sold and was converted into a house. 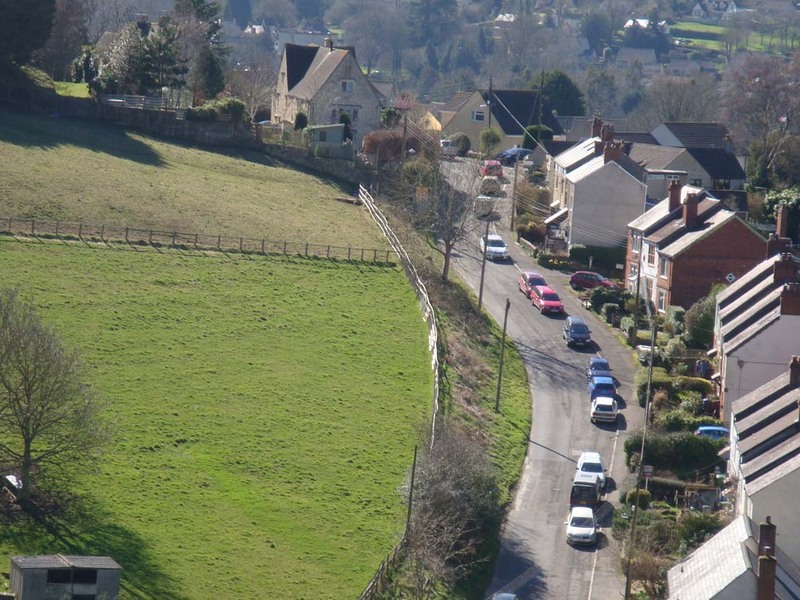 At the top of Bowl Hill, above Gastrells school, is a hamlet with its old name of Rubble Hole. Near the beginning of Kingscourt Lane, Stringer’s Court is still there, and, happily, the yard, cowsheds, and about 3 or 4 fields of Stringer’s Farm survive under separate ownership. Rodborough Fort (originally Fort St. George) was built by Captain George Hawker in 1761. 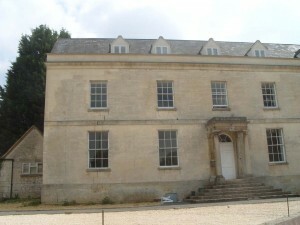 The large Georgian style building known as Hillgrove at the bottom of Bear Hill was converted into flats many years ago. It used to have a swimming pool. It was originally built as The Fleece Inn by Sir G. O. Paul…I think that this area may have been known as The Spoult. 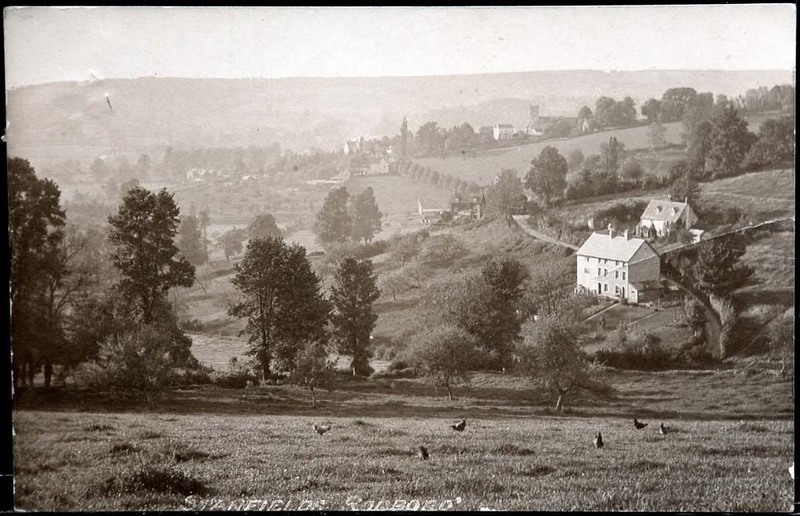 When I was young, from 1938 onwards, Stanfields was the postal address for the 15 dwellings in that part of Kingscourt Lane which comes after Stringer’s Farm up to the bungalow where I was born, which is set back off the road at the bottom of the hill and our postal address was Gastrells. The house dated 1649 is now named “Stanfields.” According to Church records, the name derives from the Rev. Stanfield who lived there. 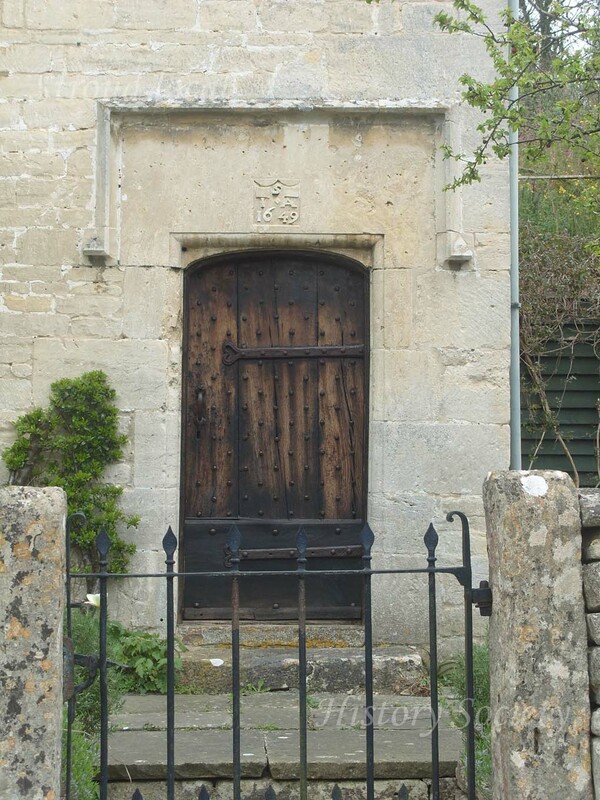 In my youth it was divided into 3 dwellings – the right-hand side, with the iron studded door and adjoining field was rented by an old couple we knew as Granny and Grampy Barstow. There were a lot of snowdrops down the edge of the field. In the middle dwelling lived Tom (in the army) and Margery Chapman and their five children. The left-hand part was lived in by a very memorable lady called Miss Jethcoat who seemed as if she had been left behind from an earlier age because she was always quaintly dressed in black bonnet, cape and long skirt. She was a very shy, harmless little old lady but when we saw her come round the lane from the shop with her basket on her arm and a black cat came out to welcome her we children wondered if she might really be a witch. After this old lady died, Mrs. Chapman, Snr. a Londoner by birth, lived there. 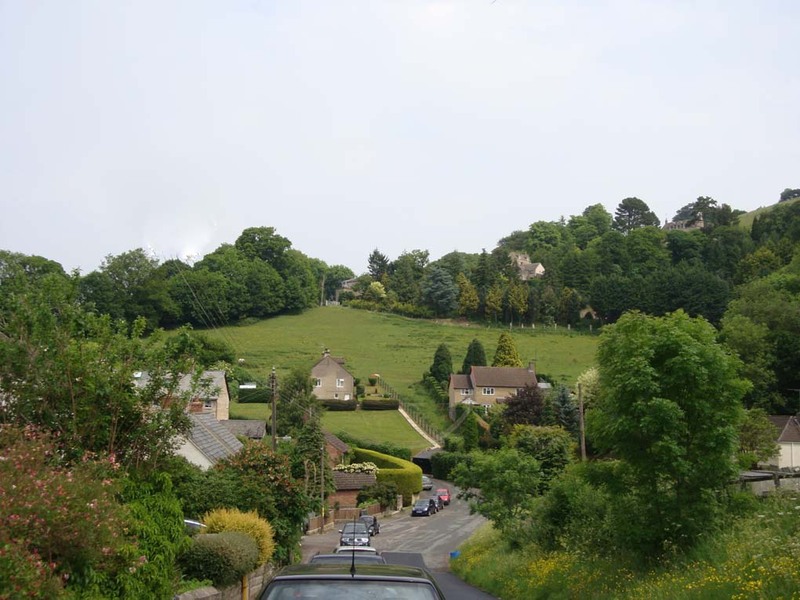 (The Chapmans moved to this area from London when the Piano works relocated their business to Woodchester round about 1906). 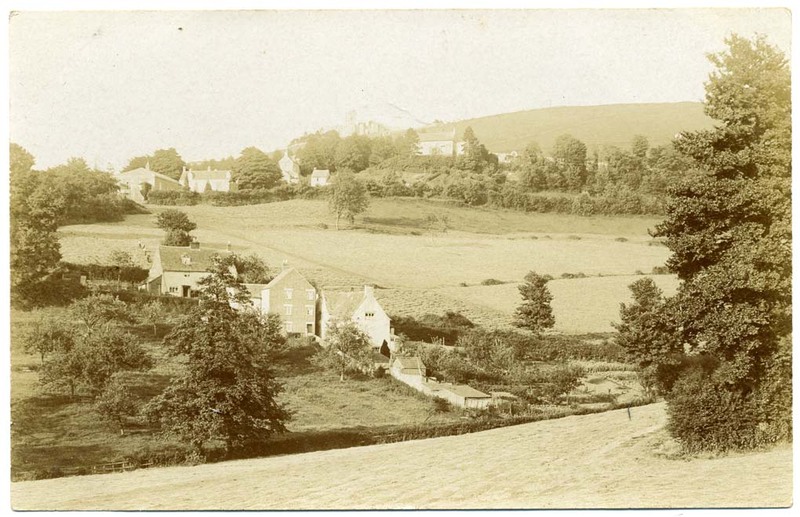 The next cottage down was tied to Stringer’s Farm and lived in by the cowman Charlie Baglin and his wife. Twice a day he fetched the cows for milking from the Gastrells’ field – Daisy, Buttercup. Clover, Bluebell, etc., etc. (Some of the Stringer’s fields and the farmyard survive and are still owned by the Daniels’ family who tell me that those names are carved above the cowsheds.) When Charlie reached retirement age about 1945/6 they had to leave the cottage and it was very sad because there was nowhere else for them to live in Kingscourt so they had to move to another village miles away. The Cratchley family rented the next cottage and at the back of that there was another one which was lived in by two rather reclusive brothers, the Habgoods. They trekked about a lot and one often gathered twigs from the hedgerows for firewood and fetched water from the spring. He never spoke or smiled, no-one seemed to know anything about them. The next cottage down was called “Sunnyside” and lived in by Mr. and Mrs. Parnham and their daughter, Jackie. Previously this was a Nursing Home and I have met a couple of people who were born there in the mid-thirties. 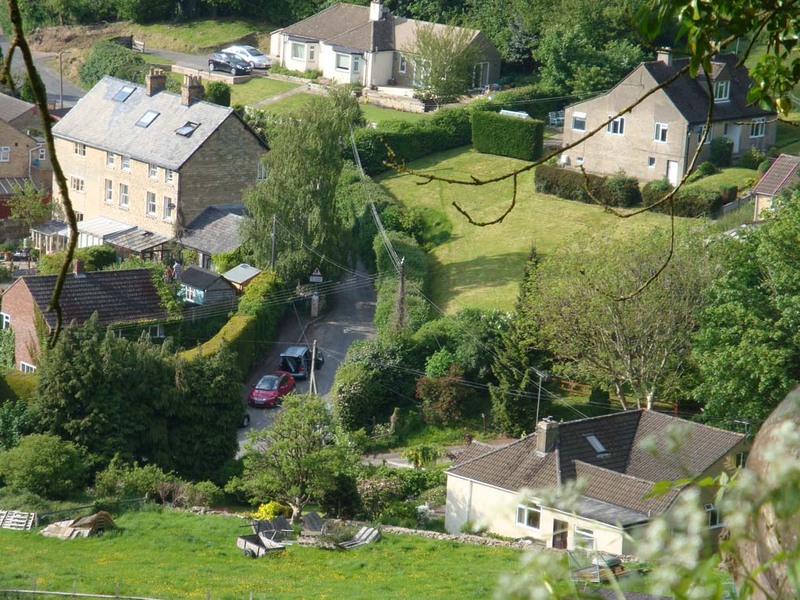 Lower down on the opposite side to Stringer’s was Walters’ Farm, with cowsheds/milking parlours edging the lane where, on our way home from Rodborough School, we often enjoyed hollering down the ventilation pipes as we passed by. The next dwelling was a bungalow lived in by Miss Walters, sister of the Farmer Bert Walters. In the next bungalow I remember Mrs. Antill who moved down from Marmont’s Acre, she was I believe, Austrian and, unusually, she drove a car. I also remember a Mr. and Mrs. Gardiner and a lad called Alan Jarvis and his Mother who lodged there, evacuees I expect. The adjoining sloping field had iron railings and lower down was an orchard of sour cider apples which weren’t usually harvested. One day we were surprised to see it was a hive of activity – the soldiers were there with ladders and baskets picking the apples, no doubt to make cider. There was an old cowshed in the top corner of the field and the next dwelling was a very tiny red brick house lived in by Mrs. Doris Clift and toddler daughter Marlene. Sadly during WW2 in 1943 her husband Albert Clift died at sea .He is commemorated on a family grave in the churchyard in North Woodchester. Later on Doris married an American G.I. and she and Marlene went off to the U.S.A. to begin a new life. The next building, three adjoining dwellings, was known as Closetiles. No. 3, the original Stanfields’ farmhouse, was lived in by Mr. and Mrs. Butcher and son John. It had a cellar, basement and three floors above. Mr. and Mrs. Gardiner and another couple, the Lloydells occupied two of the upper floors. Mr. Butcher was in Burma with the Army and one of the last of our troops to return. He came in to Rodborough School one day wearing his uniform and bush hat. In No. 2 Closetiles lived Mr. and Mrs. Miller, their two sons, Eric and Geoff, and their niece, Mary Miller. The men served with the St. John’s Ambulance Brigade. No. 1 Closetiles was occupied by the Weaving family. Albert was with the Army in Africa for several years. His Mother and wife, Margery, and three daughters “Kept the Home Fires Burning”. After the war a son, Geoff, was born. 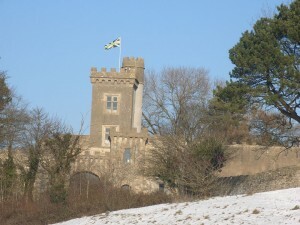 All the gardens were cultivated and drinking water was fetched from the spring at the bottom until 1948 when the men got together and dug out trenches for water to be laid on from the mains. Opposite Closetiles, up on higher ground, was the bungalow built 1936/7 by Mr. and Mrs. Reg. Hearne who lived there with their two daughters. Reg. was a fireman and when the alarm rang he went off on his motorbike. He was a carpenter and during the 1940’s he made lots of wooden toys such as dolls houses and cots, wheelbarrows, engines and trucks. The ruined remains of an old stone cottage were also on that side of the lane. Last lived in by the Gay family in the early 1930’s, the roof had fallen in and the garden was completely wild and overgrown but in the spring we children managed to get through to pick the white and bluebells. Years later the debris was cleared and a new bungalow was built. By courtesy of local postcard collector, Howard Beard, here are copies of very old photographs which show parts of the Stanfields area as it used to be. Maggie Small adds: Until recently Stanfields was the home of Ian Rank-Broadley the sculptor who is responsible for the new head of the Queen on the coins and bank notes and if you look very closely you can see the initials IRB.